There are plenty of surgeries available to enhance your features, sculpt your face, and eliminate wrinkles and to look young. It gives you desired results too but for those who do not want to go for surgeries to enhance your looks, we have some good news! You can go for Ultherapy- no surgeries but yet you can get youthful rejuvenated skin. The new Ultherapy is basically lifting and toning the loose skin naturally from inside and that too in a completely non-invasive way. In just one treatment, without any downtime you can notice your skin refreshed, firmer and younger. Ultherapy is the only FDA-approved non-invasive treatment used to lift the skin on the chin, neck as well as brow. Ultherapy makes use of focused ultrasound in order to stimulate the collagen deep into the skin without any downtime. The treatment Ultherapy is the first and only ultrasound energy-based device used for non-invasive face-lift. Ultherapy targets the deep skin layers and also the foundational layer addressed in cosmetic surgery that endows support to the skin. Ultherapy is also the only procedure that uses ultrasound imaging, which lets us to view the layers of the tissue that is targeted during the treatment. It also ensures that the energy is deposited exactly where it is most effective. During Ultherapy, the ultrasound energy will be deposited below the surface of the skin as well as in the connective tissue layers of the face, so as to stimulate the new collagen production in the body. As a consequence, the skin will experience a lift and tone. Collagen happens to be a natural protein that endows the skin the youthfulness by keeping it firm, maintaining elasticity and toning it. When the skin gets affected due to ageing, collagen tends to lose its elasticity and the ability to fight the effects of gravity that results in sagging of skin. Ultherapy starts a repair process which helps in producing fresh, new collagen. The deep ultrasound treatment meanwhile helps in tightening the facial connective tissue which is responsible for the enhancement of contours of the neck and jawline like the neck excess and early jowls. Upper face treatment can give you excellent results, like improving the upper lids, raising the brow as well as opening the eye. Tingling sensation or tenderness to touch, however these are all temporary and mild. Patients may get to see certain initial results however the final result of skin lifting and tightening will be seen after 2-3 months. 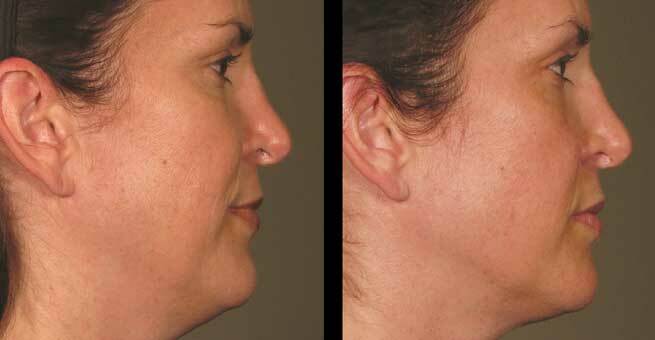 Since the collagen process continues further results will also be seen 6 months post Ultherapy treatment. Patients my get to see certain initial results however the final result of skin lifting and tightening will be seen after 2-3 months. Since the collagen process continues further results will also be seen after 6 months post Ultherapy treatment. Patients treated with Ultherapy will have fresh collagen even after a year after the procedure, however the skin succumbs to ageing process, which is inevitable, therefore future touch-up treatments will help in keeping in pace with the ageing process. Full face Ultherapy treatment will cost about $3000 or more.